Never a dull moment even with the Swedish players as waitresses and climbers go about their business besides the fun themed courts. Hit the ball at them for a good laugh. 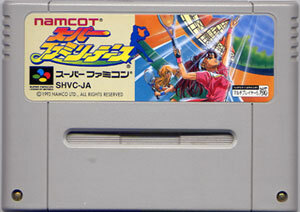 Players also have very varied shot repertoires adding to the novelty of the colourful courts. Second hand. Please note this item comes with no box or instructions. 83% score, Super Play Magazine. 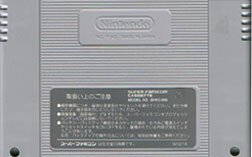 Game shop sticker on reverse of cart.